Now you can make the whole family happy by selecting a Mixed Case of Blenheim Ginger Ale and choosing 4 6-packs of any of our Blenheim Ginger Ale flavors to fill out a case. 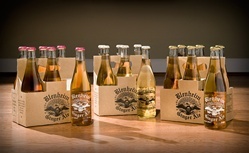 Each drop-down box can select any Blenheim Ginger Ale flavor, leaving you with dozens of great combinations. This can save you quite a bit in shipping 6 packs individually, or having to order multiple cases of each flavor.